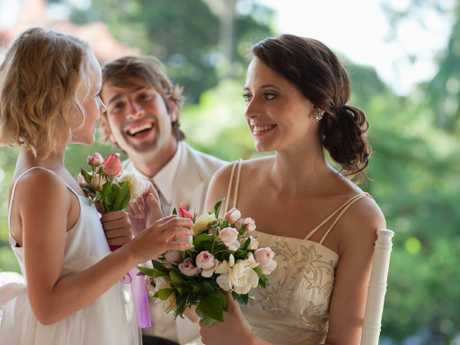 A scathing rant about a wedding has gone viral after a bride was left humiliated by her guest. 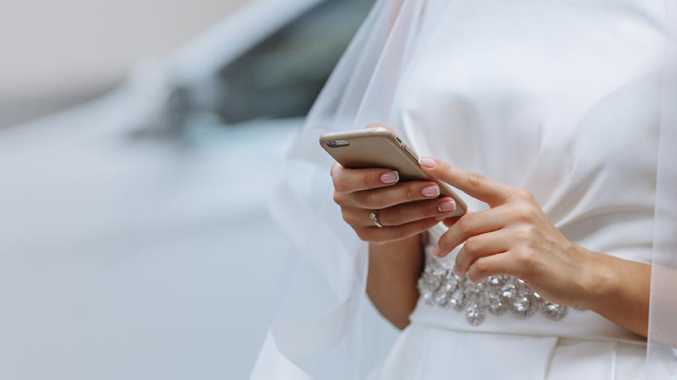 A BRIDE experienced the ultimate betrayal after discovering a wedding guest had slammed her big day on Facebook for having a 'no kids' rule - despite completely disregarding it. The newlywed recently recalled on Reddit that her cousin and his girlfriend brought their nine-month-old baby along to their kid free nuptials, despite her paying for a babysitter. Not wanting "any trouble" to ruin her day, she "let it slide", only to discover the woman had slammed the wedding on social media for not allowing children. "We thought, 'oh well' and still had the best time and we're so happy to be married we didn't think much about it and went on our honeymoon," she said. But not long after the bride and groom discovered their guest was furious about the whole situation, and had taken to Facebook with a scathing rant. "The bride can go kick rocks at such a silly poorly communicated, last minute request," the post read. Along with the damning review of her big day, the disgruntled guest had tagged several family members, only adding to the bride's humiliation. She also 'liked' various comments that agreed their request was unreasonable. "It upset me that she posted this on a public forum so my husband and I talked about it and messaged her husband," she went on, explaining the decision only added more fuel to the fire. "Then I get a text from the wife saying that her husband is not her keeper and if I have an issue to take it up with her." Despite the bride's pleas to have the public post taken down, the wedding guest refused stating "the no children rule was poorly handled and she should be able to post what she sees fit on Facebook". 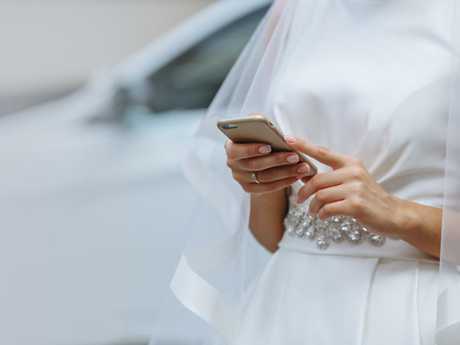 However the incident has left the bride, who goes by the username merrygirl07, worried what her extended family will think of her and fretting they'll believe she's a "bridezilla". The bride didn't want kids at her wedding, but let it slide when a family member turned up with their baby. However she was later slammed on social media for the request. "I feel like we went out of our way to make things easier for her and then she still completely disregarded our wishes on our wedding day, which we were prepared to let go, until she made a post a couple of weeks after the actual event," she said. Shocked Reddit users have leapt to her defence, branding the cousin and his girlfriend "ridiculous". "You were more than generous arranging for a babysitter to be down the hall. She needs to grow up and realise that the world doesn't revolve around her or her child. She's being ridiculous," one person wrote. "I would have kicked her out of the reception on the spot," an angry user added. "You went out of your way for her when you didn't have to. She is nightmare that is obviously desperate to get her and her spawn attention." "She is rude and inconsiderate. 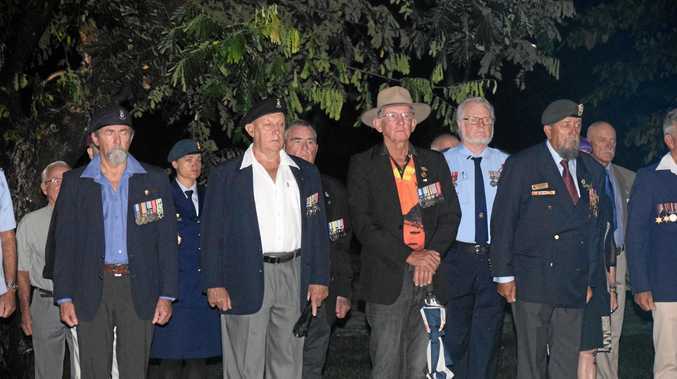 If it was such an issue for her, she could have declined and stayed home," another declared. However not everyone was on the bride's side, with some explaining they could understand the new mum's hesitance to leave her baby with a stranger. "I agree with having a child free wedding and I can also absolutely understand being hesitant to give your child up to a stranger," one commenter explained.